From Any Country in the World. Don't Miss Out on Your Favourite Soaps. Watch from Any Country in the World. Are you living outside the UK, on holiday or on business and want to watch UK TV abroad? All you need is an internet connection, a PC/Mac, tablet, mobile or VPN router and our service to enjoy live and catch-up UK TV Abroad. No matter where you are in the World you can get instant access to watch UK TV abroad 24/7. Enjoy complete flexibility. If you just want to use the service for a few days, a couple of weeks, a month or on going that’s no problem. Just cancel whenever you like. One subscription allows you to access the service on up to Five devices at the same time. If for any reason you are unable to connect or are unhappy with our service then contact us within 30 days and you will be refunded in full. 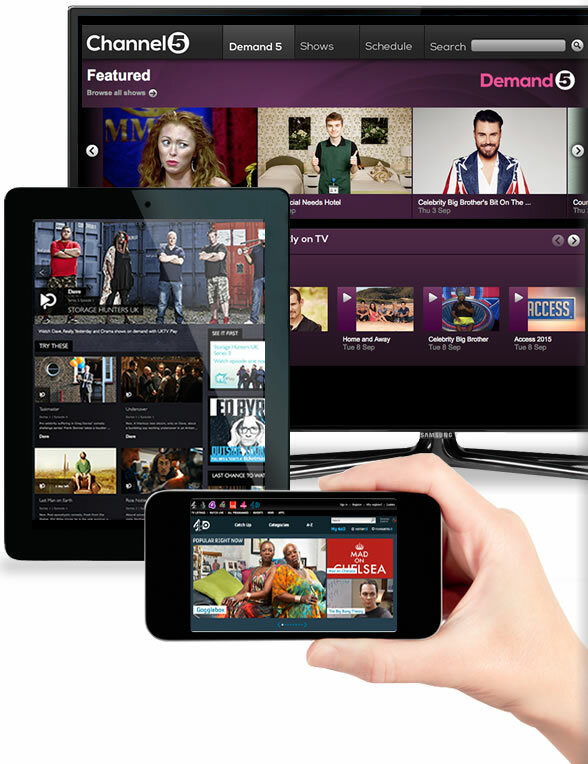 All you need to watch UK TV abroad via our service is an internet connection, a PC, Mac, tablet, smart phone or VPN router. Join for just a few days, a couple of weeks or ongoing, it’s entirely up to you. Cancel whenever you like. After joining you will get instant access to setup the service. Once connected you just need to pick a channel or catch-up service, put your feet up and enjoy watching UK TV abroad! We offer a completely flexible service backed by our excellent 24/7 support and 48hr money back guarantee so you can try the service risk free. "I have to travel a lot for my job so being able to watch UK TV on my iPad from the comfort of my hotel room is great"
"Great solution at a great price. We use the service when we come out to our holiday home in France. When I connect the PC to the TV it's just like watching TV at home!" "To be honest I have tried a few of these services but I have to say that your service is by far the best - easy to set-up, great quality & very reasonable"
"Thank you so much. It makes such a difference to be able to watch all our programmes again. Great service"